New fronds were beginning to sprout from the base of a palm tree. 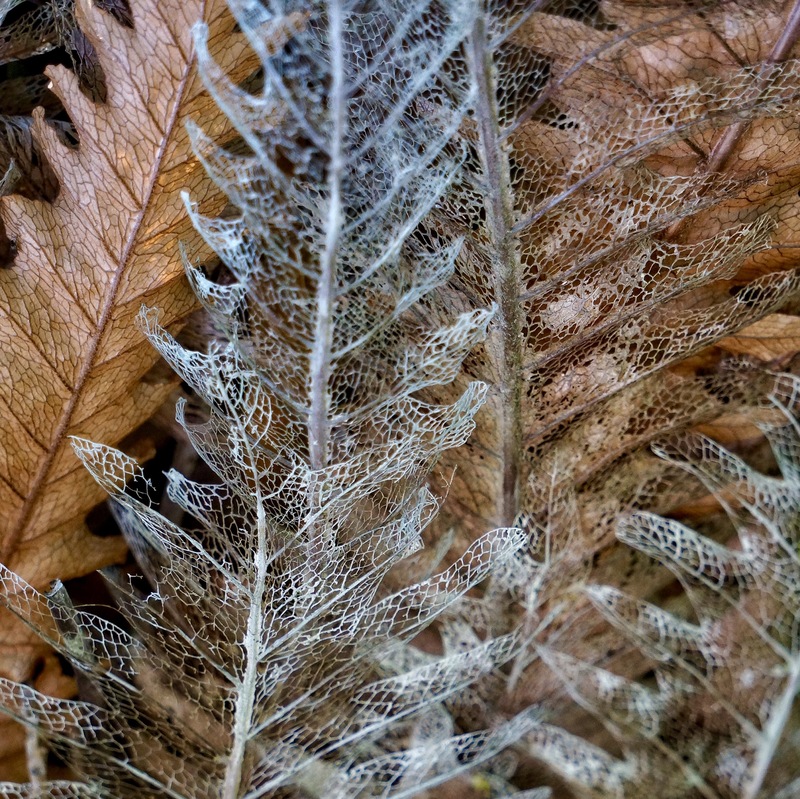 Skeletal fern leaves remain as a memory of previous growth. You are welcome, thank you for commenting. These are absolutely beautiful. The skeletons appear to be made from silver and copper and gold. I agree. It’s amazing that they have survived.